We’ve been 100% gluten free in our house now for just over a month after receiving the diagnosis that my middle little has Celiac Disease. It’s really gone well for the most part and we’re not really missing the gluten filled breads and snacks. We’ve been trying to get creative with new things to eat that are full of fresh flavor and color! 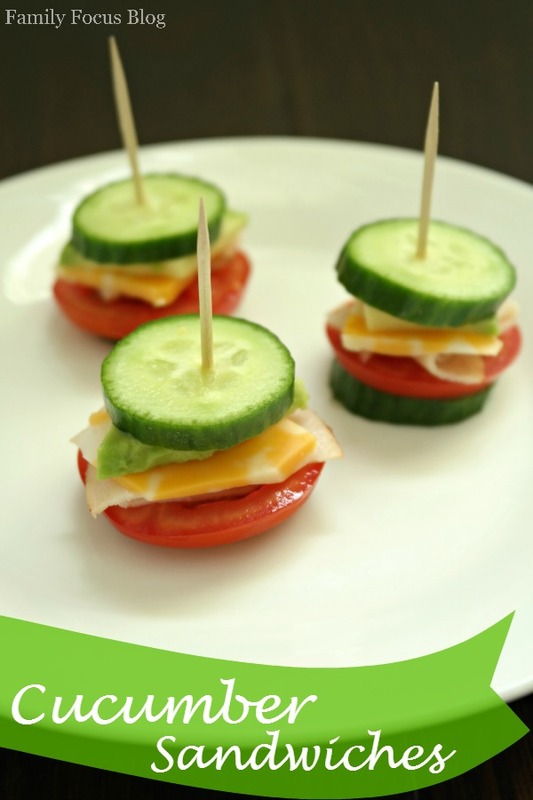 These little Cucumber Sandwiches are the perfect gluten free snack and would be a great summer time appetizer. I hope you enjoy this recipe for cucumber sandwiches as much as my family does. 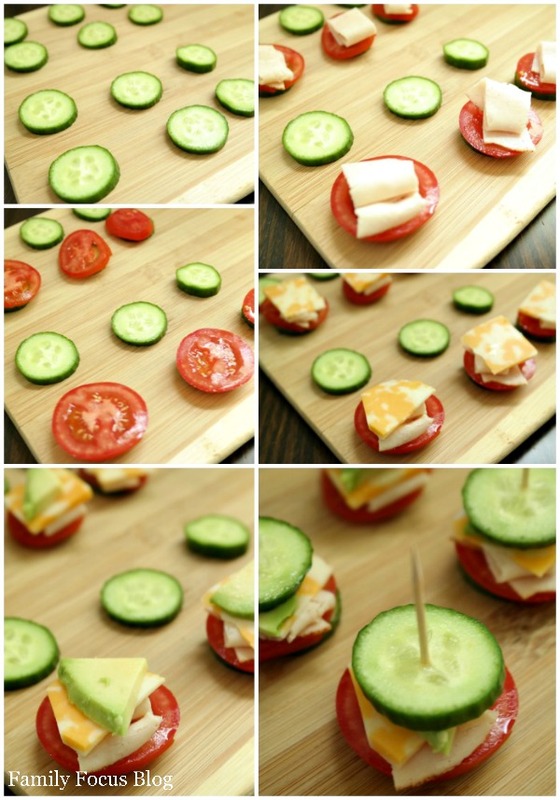 Begin this recipe for cucumber sandwiches by slicing the cucumber, tomato, and avocado into 1/4″ thick slices. You can add other veggies too if you like. I think red onion would be delicious! Cut the sliced chicken into 1/2″ wide pieces. 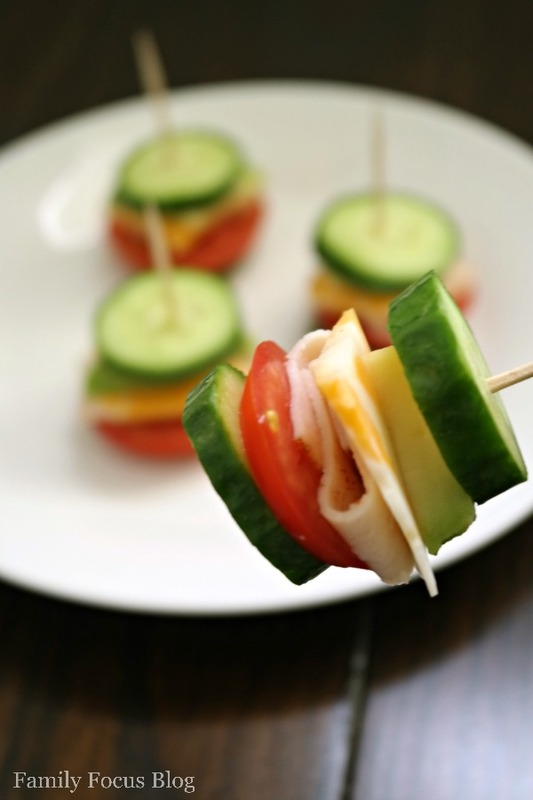 Layer the veggies, cheese, and meat between the two cucumber slices and hold together with a toothpick. I added a bit of sea salt to tomato and cucumber as I stacked them. You can serve these fresh little cucumber sandwiches with a dipping sauce like ranch, hummus, or even drizzle with a balsamic vinegar and olive oil. They are of course delicious on their own! Whether you are gluten-free or just trying to fit a few more veggies into your diet, this is a really, fun, healthy snack to make. 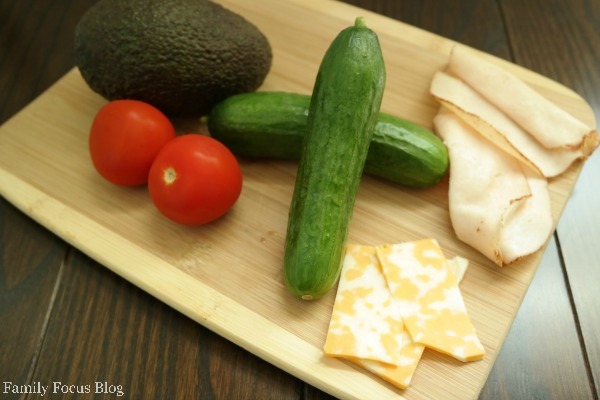 Do you think you will try this easy recipe for cucumber sandwiches? I think these cucumber sandwiches would be a great addition to a Sunday morning brunch, perfect for a bridal or baby shower, garden party, or a summer cook out. They also make a great gluten-free after school snack. Delicious for both kids and adults! What’s your favorite summer time recipe for fresh veggies? Unless the cheese is a hard cheese or goat cheese then it’s not completely gluten-free. Almost all of your soft cheeses, except for farmer’s cheese, has undergone processing using gluten enzymes.